If you’ve read my other posts in this series, you’ll know that I’m not a fan of tradition for tradition’s sake. If something is on your wedding planning list ‘because you feel like it should be’ and not because it makes you happy, be brave and cut it out! All too often, it’s your wedding cake that ends up a sad victim of this ‘because-it’s-tradition’ mentality. It breaks my heart a little bit because I have a deep love affair going on with cakes of all shapes and sizes! So, it’s time to break the dense fruit cake and royal icing mould. Let’s consider some of the crazy delicious alternative options out there. 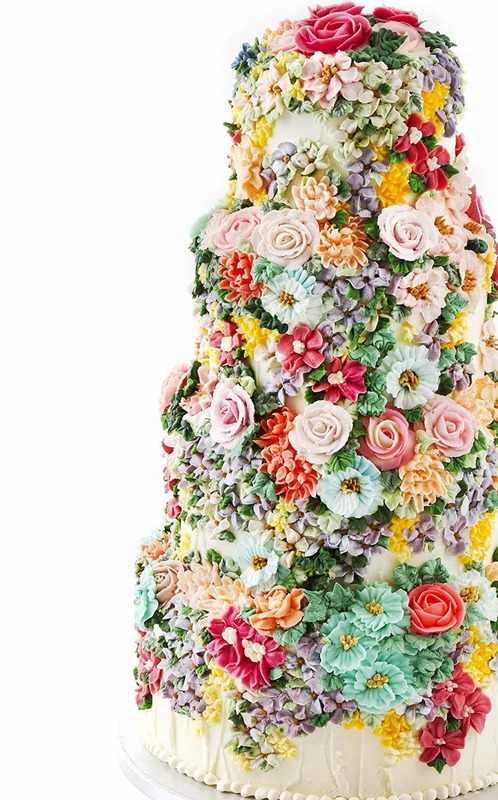 Your wedding cake wants to be eaten, not left languishing in a dark corner after it’s been cut. I’ve done some tastebud-tingling research to find five contemporary, quirky and seriously creative makers and bakers sure to whet your guests appetites. The things I do for you! It’s a hard life. Grab a cuppa, have a read, break the mould and find your wedding cake! Quite simply, Emma is some sort of wizard with buttercream. I suspect she has actual magical powers. 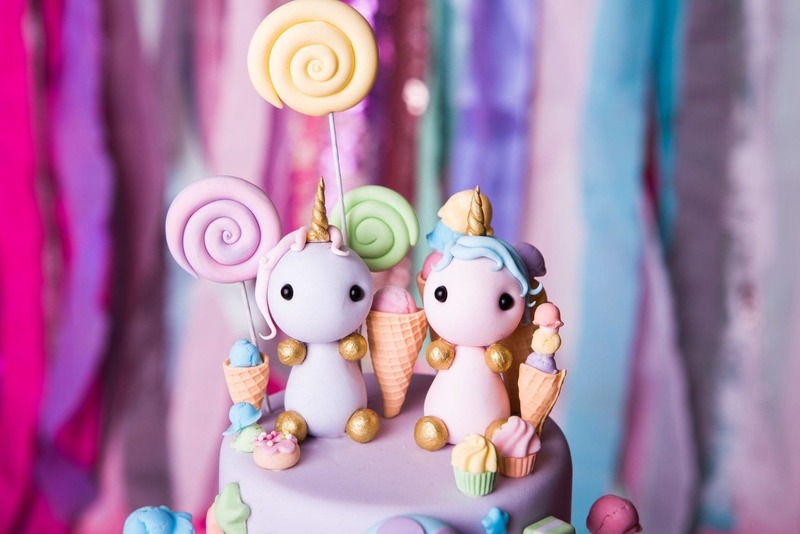 You won’t find a speck of fondant on any of Emma’s stunning designs – every last embellishment is made with her special recipe buttercream, before being artistically piped and sculpted. 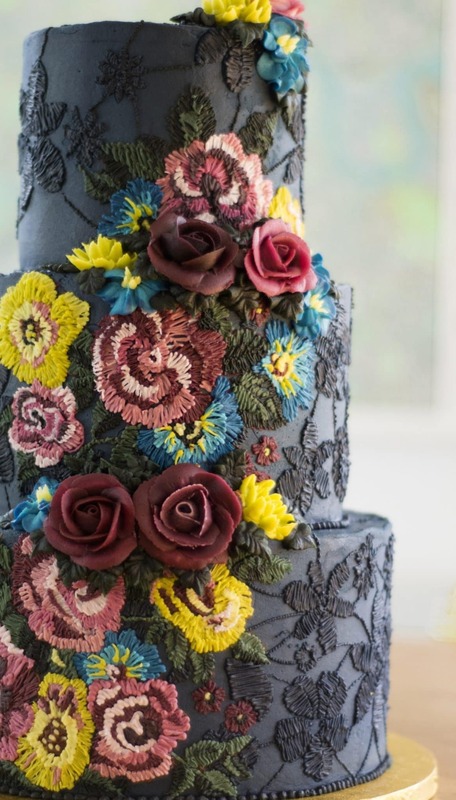 I love the embroidery effects she can create, and the epic cascades of piped flowers. These guys have been given the accolade ‘best bakery in London’ by none other than Vogue, and with good reason. 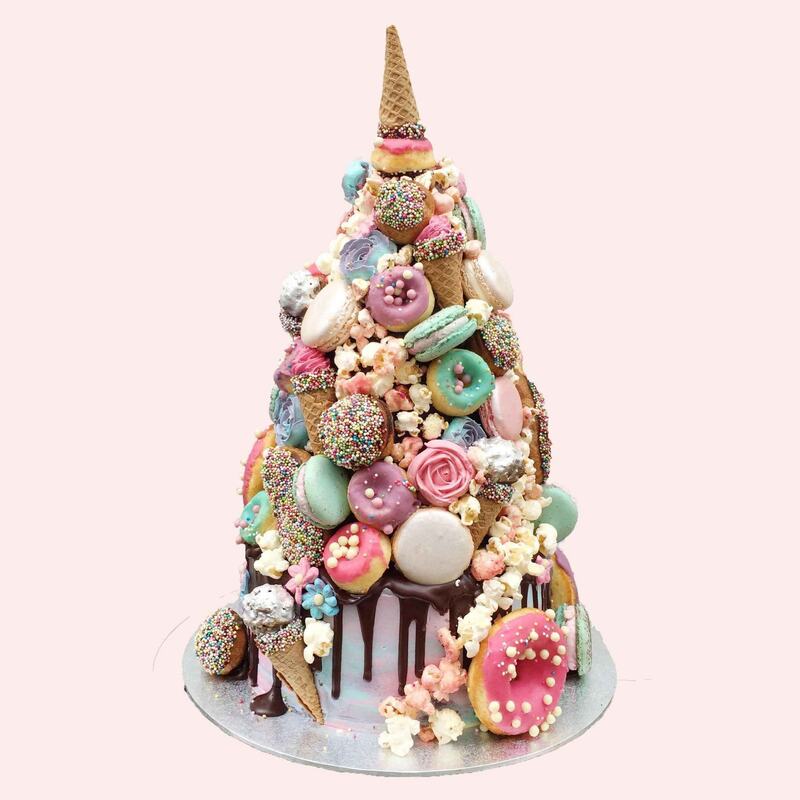 Reshmi and her team create fabulously bonkers, sculptural cakes piled high with donuts, popcorn, macarons, chocolate flowers and loads more scrumptious treats. I’m a particular fan on her take on a croque en bouche – traditionally made with choux buns. 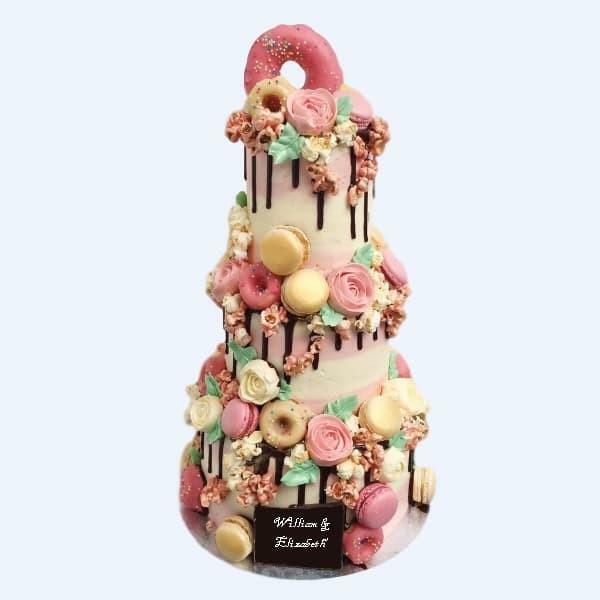 The Anges de Sucre treatment of this French classic sees a tower of cake liberally covered in mini desserts. With mermaid and unicorn themed croque en bouches on offer, these are some serious showstoppers. When is a wedding cake not a cake? When it’s a selection of delicious donuts! 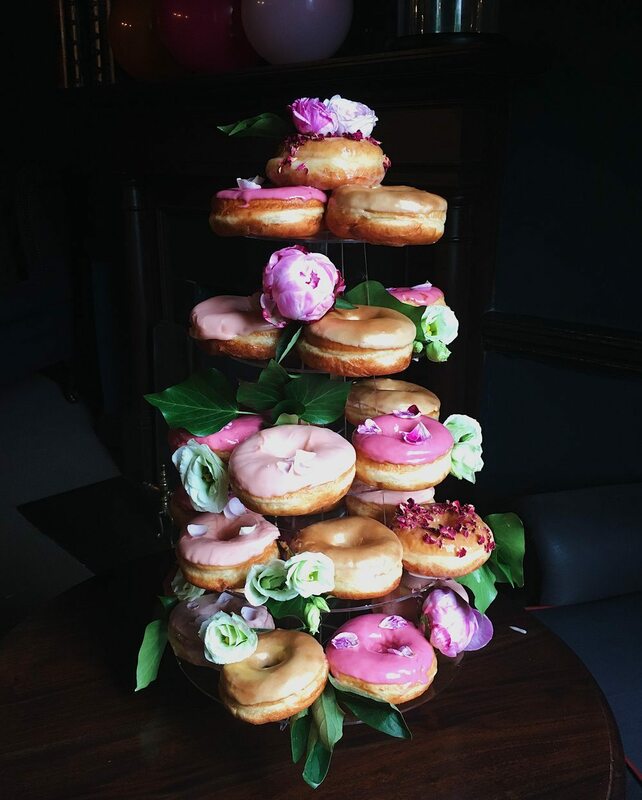 This trendy dessert is taking wedding season by storm, and whether piled in a tower or hooked onto its very own donut wall, I am all for it! 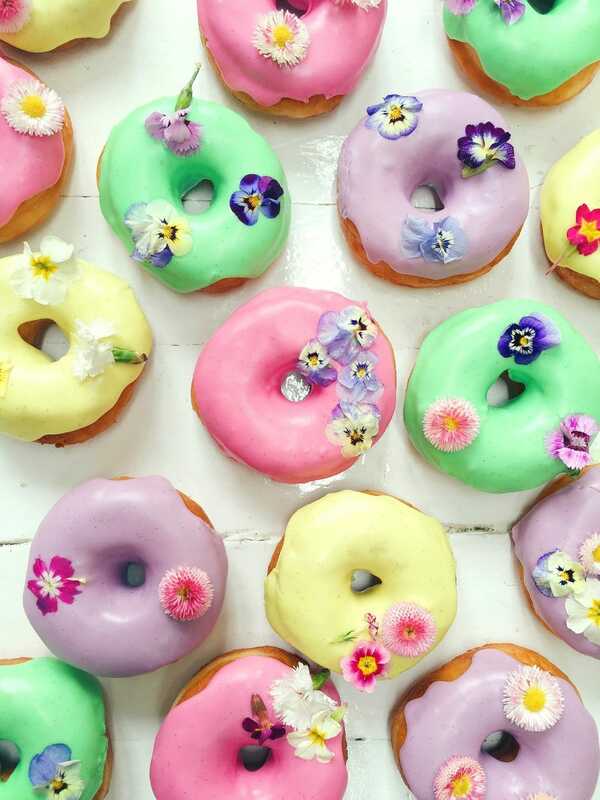 Vicky’s East London bakery produces some seriously gourmet donut flavours. Blueberry cheesecake, salted caramel or, ahem, MAPLE BACON, anyone? Yum! So, it might be that *whispers* you just don’t like cake all that much. If the thought of an enormous, sweet and sticky baked good doesn’t fill you with happiness, scrap the idea of the cake altogether! You can still create a tiered and toothsome savoury wow. 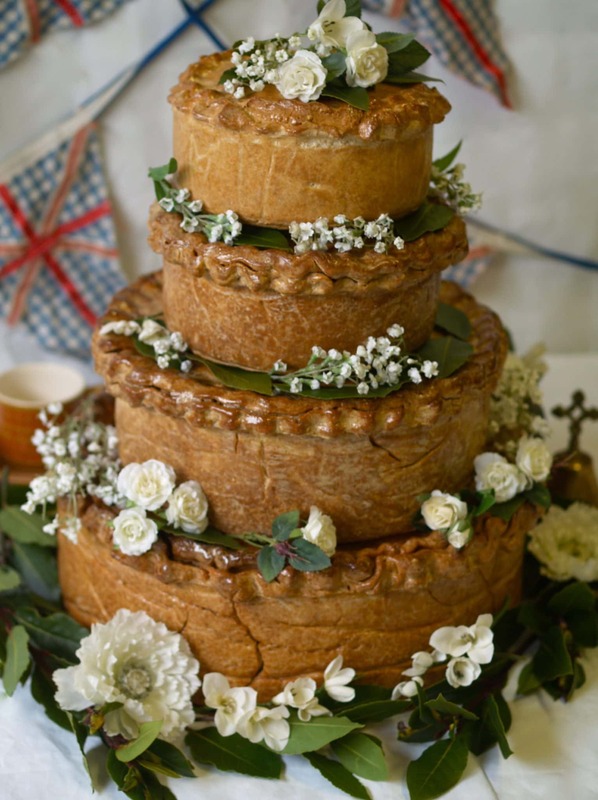 How about these amazing wedding pork pies from Bray’s Cottage? Golden pastry, a range of flavours, and a ready-made evening buffet for your hungry guests. Or, if you’re completely stuck and don’t at all want to go sweet, a stack of delicious and fragrant cheeses is sure to make your guests’ mouths water. Sounds like a win all round to me! The next time you feel yourself heading down the road of tradition for tradition’s sake, stop and think about breaking the mould. 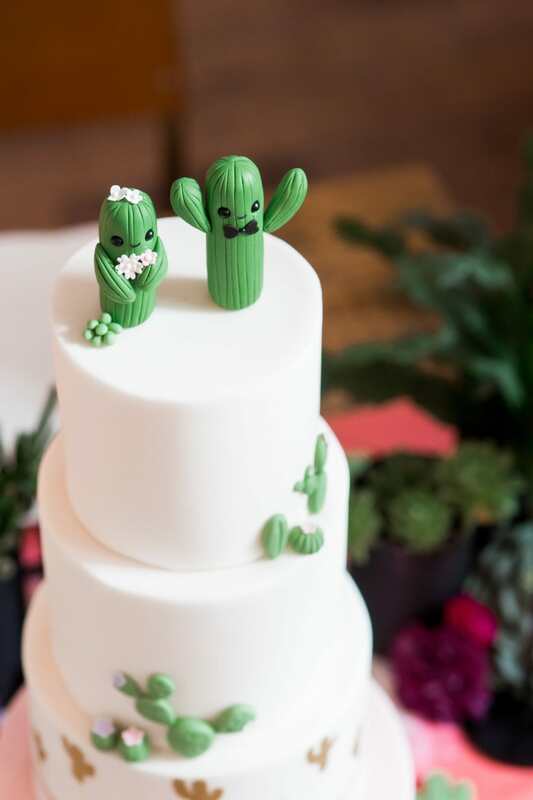 Why not start with your wedding cake? There are some wonderfully creative suppliers out there, so get researching and find your own perfect sweet (or savoury) treat. If you’re looking for a photographer who understands that you’re going to do your day your way, give me a call!